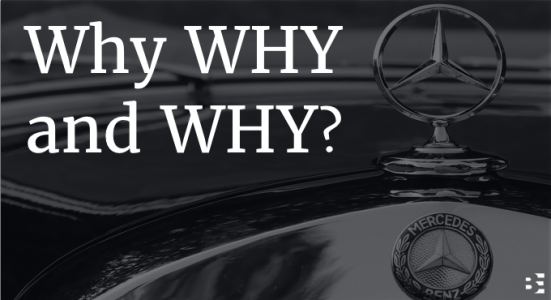 Warum definierte Mercedes-Benz sein WHY zweimal hintereinander? 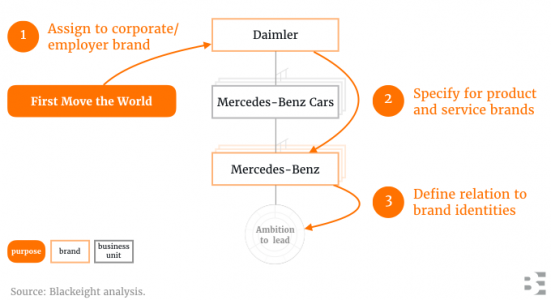 Finally it would be necessary to discover and define the brand specific purpose of Daimler’s brands. 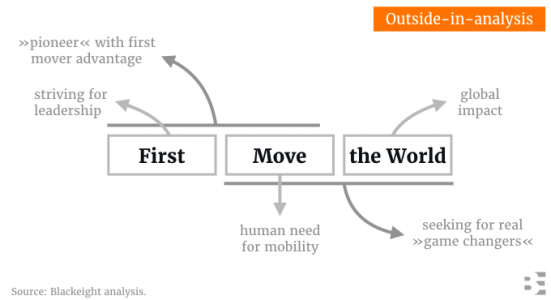 For example, within the cars business unit, Mercedes-Benz would have to get a premium version of »First Move the World« and Mercedes-Maybach would have to get a luxury version of »First Move the World«. – e.g. 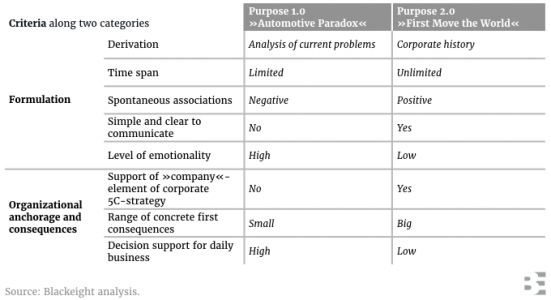 for Mercedes-Benz the relation to its core »Ambition to lead« and its claim »The Best or Nothing«. Besides of the emotional benefit for end customers, this move will give guidance for day-to-day-work of employees as well. This accelerates the targeted internal change process once again.